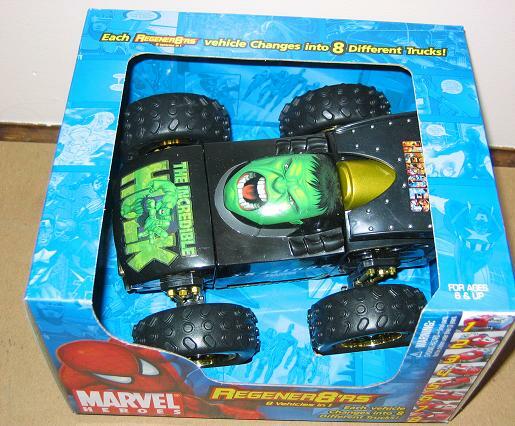 The Hulk cars that I have are displayed below. To see a bigger picture and the blog click on a picture. 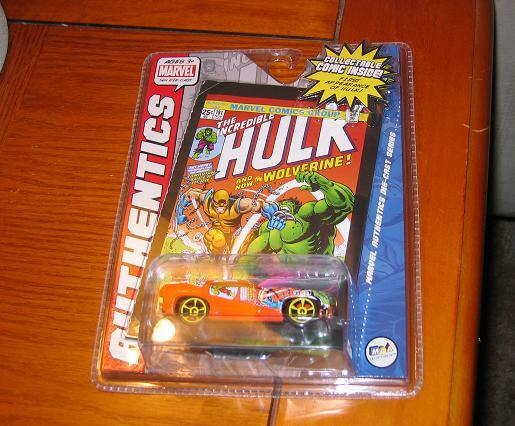 hey do you know how much this car is worth now? I found one in my backyard and i was curious how much it is worth? send me an e-mail thanks! I would like the silver arm variant – but it’s not high on my list. I much prefer the vintage stuff to recent toys. You should take pride that you have been able to avoid purchasing on the bay, it’s addictive and – it’s an expensive mistress! 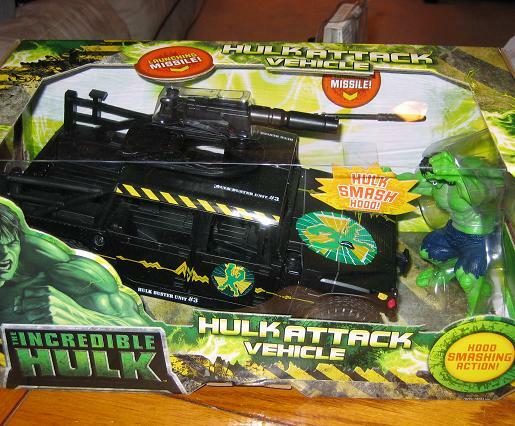 I much prefer picking things up off ebay too – but sometimes, when there is a great deal, I crumble. 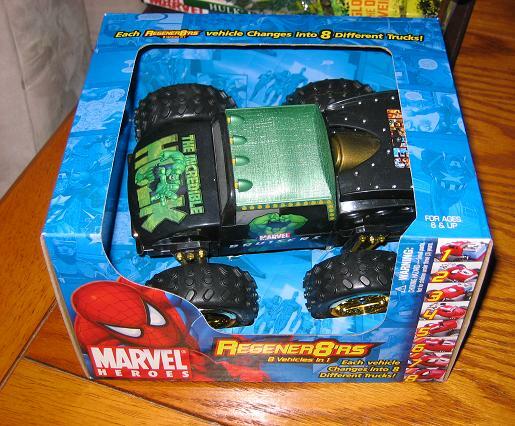 I seen a Hulk Regener8r’s from the movie toy line at walmart.